Time to plan 2018! 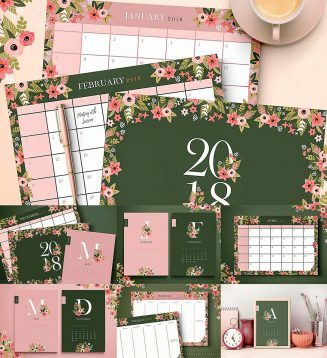 Cute floral set including : A4 portrait 2018 Floral Calendar; A4 landscape 2018 Floral Monthly Planner; A4 landscape Weekly planner. Tags: 2018, calendar, day, Elegant, floral, month, printable, week, year.